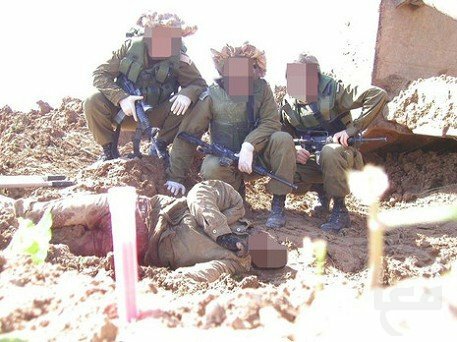 BETHLEHEM — An Israeli human rights group has released pictures of Israeli soldiers and border guards alongside blindfolded and handcuffed Palestinian detainees — some of them dead. Breaking the Silence set up a group on Facebook entitled “the norm denied by Avi Benayahu,” an Israeli military spokesman who described the recent release of photographs by an ex-soldier next to detainees as exceptional. “The new campaign came into being in the wake of the publication of Eden Abergil’s photos, in order to show the prevalence of this phenomenon among IDF ranks,” Breaking the Silence said in a statement to the Israeli news site Ynet. The original photos prompted a harsh reaction from the Palestinian Authority. “This shows the mentality of the occupier, to be proud of humiliating Palestinians. There is nothing in the world that can justify [this] humiliation that is part of the Israeli occupation practices on [a] daily basis,” the PA’s Government Media Center said in a statement. “Occupation is unjust, immoral and, as these pictures show, corrupting. It should end and Palestinian rights and dignity be respected. We call upon all human rights defenders to make all efforts to end the Israeli occupation and close this dark era for humanity,” the statement added. Abergil posted the photos in her Facebook album “Army…best time of my life:)” in early August. The series of images, since removed from her page, displayed Abergil posing with blindfolded and handcuffed detainees who were apparently seized during a recent army raid in the occupied West Bank. 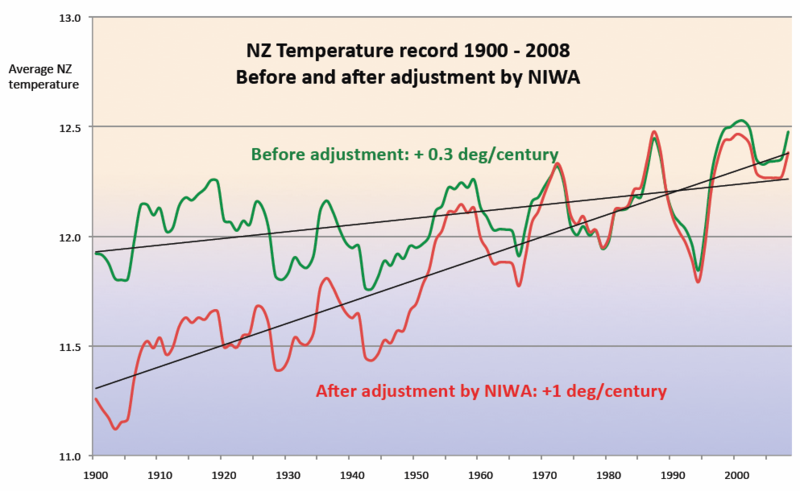 The main claims of ZPC deniers take several tacks: Some claim that the ZPC is just ‘another lobby’ like the Chamber of Commerce, the Sierra Club or the Society for the Protection of Goldfish. Others claim that by focusing mainly on Israel and by inference the ‘Lobby’, the critics of Zionism ignore the equally violent abuses of rulers, regimes and states elsewhere. This ‘exclusive focus’ on Israel, the deniers of ZPC argue, reveals a latent or overt anti-Semitism. They propose that human rights advocates condemn all human rights abusers everywhere (at the same time and with the same emphasis?). Others still argue that Israel is a democracy – at least outside of the Occupied Territories (OT) – and therefore is not as condemnable as other human rights violators and should be ‘credited’ for its civic virtues along with its human rights failings. Finally others still claim that, because of the Holocaust and ‘History-of-Two-Thousand-Years-of-Persecution’, criticism of Jewish-funded and led pro-Israel lobbies should be handled with great prudence, making it clear that one criticizes only specific abuses, investigates all charges – especially those from Arab/Palestinian/United Nations/European/Human Rights sources — and recognizes that Israeli public opinion, the press and even the Courts or sectors of them may also be critical of regime policies. There are numerous similar lines of criticism, which basically avoid the fundamental issues raised by the Israeli state and the ZPC, and which we are obliged to address. The reason that criticism and action directed against Israel and the ZPC is of central importance today in any discussion of US foreign policy, especially (but not exclusively) of Middle East policy and US domestic policy-making is that they play a decisive role and have a world-historic impact on the present and future of world peace and social justice. We turn now to examine the ‘big questions’ facing Americans as a result of the power of Israel in the United States. Never in the history of the US republic or empire has a powerful but tiny minority been able to wield so much influence in using our nation’s military and economic power and diplomatic arm-twisting in the service of a foreign government. Neither the Francophiles during the American Revolution, the Anglophiles in the Civil War and the German Bund in the run-up to World War Two, nor the (anti-China) Nationalist Taiwan Lobby possessed the organizational power and sustained political influence that the ZPC has on US foreign and domestic policy at the service of the State of Israel. No other country, abuser or not of human rights, with or without electoral systems, has the influence over our domestic and foreign policy as does the state of Israel. No other Lobby has the kind of financial power and organizational reach as the Jewish Lobby in eroding our domestic political freedoms or our war-making powers. For those reasons alone, it stands to reason, that we Americans have a necessity to put our fight against Israel and its Lobby at the very top of our political agenda. It is not because Israel has the worst human rights agenda in the world – other states have even worst democratic credentials – but because of its role in promoting its US supporters to degrade our democratic principles, robbing us of our freedom to debate and our sovereignty to decide our own interests. The Lobby puts the military and budgetary resources of the Empire at the service of Greater Israel – and that results in the worst human rights in the world. Ms Zaher said the government appeared determined to push farther along the same path. Last month a ministerial committee approved a draft bill that would allow private businesses to award extra benefits to former soldiers. JERUSALEM — An Israeli court ruled Monday that the state was responsible for the fatal 2007 shooting of a 10-year-old Palestinian girl in a village near Jerusalem. The court ruled that an Israeli border guard shot Abir Aramin in the head with a rubber bullet in Anata village north of Jerusalem, the Israeli daily Haaretz reported. 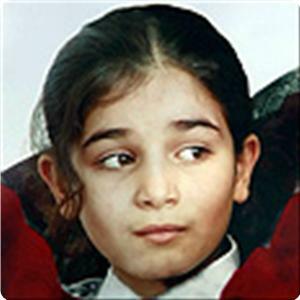 Abir was buying sweets during a break from school with her sister and two friends when she was killed. An army statement at the time said troops were responding to a riot in the village and “were forced to respond with methods for dispersing protesters.” The army has never accepted responsibility for the killing. Ruling the shooting “totally unjustifiable,” the court found that Abir and her friends were walking down a street from which no stones were thrown, and “there was no apparent reason to fire in that direction,” Haaretz reported. Judge Orit Efal Gabai ordered the government to pay damages to the family. The civil suit was brought to the Jerusalem District Court after the army and state refused to open a criminal investigation into the killing. An appeal to the High Court to force an investigation was rejected in October 2009, when Judge Beinish ruled that Abir may have been killed by stones thrown by Palestinian protesters. Judge Orit Efal Gabai said Monday that “There is no debate over the conclusion that Abir was injured by a rubber bullet shot by border guards, which in turn leads to the conclusion that the shooting of Abir occurred out of negligence, or in violation of the rules of engagement,” Haaretz reported. Abir’s father is a founding member of Combatants for Peace, a joint Israeli-Palestinian peace group. I am one of the passengers/witnesses interviewed for this program and I am very much aware of BBC’s role in justifying war and covering up Israeli crimes. I am in no way naive about this; to the contrary my motivation for the interview lay largely in the all too likely opportunity to expose the BBC. A relevant job considering the BBC’s role in the slaughter of over one million Iraqi’s, a direct role by virtue of the war they justified. BBC from start to present, justifying Iraq, a massive war crime and crime against humanity based entirely on lies (propagated intensely by the BBC). The British Broadcasting Corporation, synonymous with millions of orphans and refugees and countless lives destroyed in Iraq, beating the drums of war without pause, the ultimate prostitutes of propaganda. But truth be told, the commandos we captured should thank us for their lives. I ask the Israeli’s, British and American people specifically, if your home was invaded, your family being murdered, would you be willing to disarm, completely control, and then set a murderer of your family free? Ken O’Keefe is Managing Director of Aloha Palestine and blogs here. He was on board the Mavi Marmara.